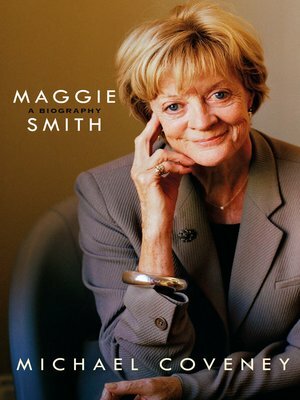 No one does glamour, severity, girlish charm or tight-lipped witticism better than Dame Maggie Smith. Michael Coveney's biography shines a light on the life and career of a truly remarkable performer, one whose stage and screen career spans six decades. From her days as a West End star of comedy and revue, Dame Maggie's path would cross with those of the greatest actors, playwrights and directors of the era. Whether stealing scenes from Richard Burton, answering back to Laurence Olivier, or playing opposite Judi Dench in Breath of Life, her career can be seen as a 'Who's Who' of British theatre. Her film and television career are just as starry. From the title character in The Prime of Miss Jean Brodie and the meddling chaperone in A Room With a View to the Harry Potter films in which she played Minerva McGonagall (as she put it 'Miss Jean Brodie in a wizard's hat') and the Best Exotic Marigold Hotel films in which she played the wise Muriel Donnelly, Smith has thrilled, engaged and made audiences laugh. As Violet Crawley, the formidable Dowager Countess of Downton Abbey she conquered millions more. Paradoxically she remains an enigmatic figure, rarely appearing in public. Michael Coveney's absorbing biography, written with the actress's blessing and drawing on personal archives, as well as interviews with immediate family and close friends, is a portrait of one of the greatest actors of our time.